Administrator Pruitt determined that Obama-era vehicle standards don't "comport with reality." EPA Administrator Scott Pruitt issued a final determination Monday that current greenhouse-gas emission standards for light-duty vehicles are too stringent and should be revised — setting the stage for a legal showdown with California and other states that support clean vehicle regulations. The announcement ends an evaluation of Obama-era efficiency standards undertaken by the agency for light-duty vehicles for model years 2022 to 2025. “Obama’s EPA cut the Midterm Evaluation process short with politically charged expediency, made assumptions about the standards that didn’t comport with reality, and set the standards too high," said Pruitt. The administrator also announced the start of a joint process with the National Highway Traffic Safety Administration (NHTSA) to develop a notice and comment rulemaking to set "more appropriate" greenhouse gas emissions standards and Corporate Average Fuel Economy (CAFE) standards. Today's announcement was widely expected. President Trump initially pledged to review the vehicle regulations in March of last year. Pruitt, who has made it a priority to roll back a suite of environmental regulations since taking office, repeatedly signaled his intent to weaken the vehicle efficiency rules. The Obama administration drafted the CAFE standards to align federal policy with California's ambitious state policy. The EPA and NHTSA rules initially aimed to boost average fuel economy for passenger cars and SUVs to 54.5 miles per gallon by 2025. The administration later adjusted the target to a fleetwide average of around 50 miles per gallon — equivalent to about 36 miles per gallon in real-world driving. California has been able to impose stricter standards for vehicle emissions of certain pollutants than federal requirements thanks to a Clean Air Act waiver granted previously by the EPA. Pruitt said the California waiver is currently being re-examined. “Cooperative federalism doesn’t mean that one state can dictate standards for the rest of the country," he said, in a statement. "EPA will set a national standard for greenhouse gas emissions that allows auto manufacturers to make cars that people both want and can afford — while still expanding environmental and safety benefits of newer cars. It is in America's best interest to have a national standard, and we look forward to partnering with all states, including California, as we work to finalize that standard." He argued that the EPA’s own analysis shows the national clean car standards benefit all consumers by reducing fuel costs and greenhouse gas pollution. California Attorney General Xavier Becerra said last week that his state is prepared to sue Pruitt's EPA over attempts to weaken the Obama-era vehicle standards. California previously intervened in a lawsuit filed by the Alliance of Automobile Manufacturers that challenged the U.S. EPA’s January 2017 determination that the vehicle emission standards for years 2022 to 2025 are feasible. The Alliance withdrew its case when the Trump administration announced its intention to reconsider the rule. Thirteen states plus the District of Columbia also follow the more stringent requirements created by California. In response to the news, the Gov. Brown- and Michael Bloomberg-backed initiative, America's Pledge, insisted local governments and businesses would push ahead on climate action. A group of governors and mayors from California, Washington and Oregon also presented a unified front of Western opposition. "If anything, we expect this misguided move to spur even more bottom-up progress," said Bloomberg. A roster of private companies also criticized the relaxing of rules. Ceres cited a letter that 46 large companies, including Unilever and Nestle, sent to Pruitt in March urging the government to leave the standards alone. “Major investors and businesses understand that rolling back the Corporate Average Fuel Economy (CAFE) and emissions standards will undermine the global competitiveness of the U.S. auto industry at a time when the rest of the world is moving in the opposite direction, prioritizing clean vehicles and responding to consumer demand for cars that save them money," said Carol Lee Rawn, director of transportation at Ceres. “Our analysis shows that weakening fuel-economy and emissions standards will harm the economy and the auto industry, particularly auto parts suppliers, who employ more than twice as many Americans as auto companies, and who, relying on current standards, have invested heavily in fuel-efficient technologies." According to the Natural Resources Defense Council, 288,000 people work in the U.S. manufacturing equipment tied to fuel efficiency. Meanwhile, the right-leaning Competitive Enterprise Institute celebrated Pruitt's announcement, claiming fuel economy mandates restrict consumer choice and negatively affect vehicle crashworthiness. "We hope that the Trump administration will finally take account of those effects and start to liberalize this program," said CEI General Counsel Sam Kazman. The Alliance of Automobile Manufacturers, a trade group representing 70 percent of U.S. car and light truck sales that had encouraged the administration to roll back standards, approved of the announcement as expected, arguing that "this was the right decision." But unless the EPA finds a legal pathway to revoking California's waiver, automakers will still have to meet higher standards in the nation's largest vehicle market, as well as the 13 other states plus Washington, D.C. that have adopted California's stricter emissions standards. 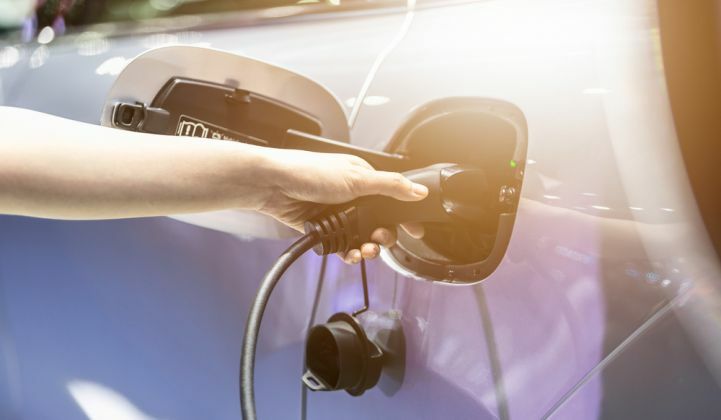 The Alliance of Automobile Manufacturers stated that maintaining a national standard is "critical" to ensuring that cars remain affordable, and that the organization is still interested in increasing fuel efficiency. But California appears unlikely to settle for a watered-down proposal. Clean energy advocates argue that loosening vehicle standards would leave the United States at a disadvantage. China has already claimed the top spot in the race to deploy electric and hybrid vehicles, with the country claiming half of global sales. “Already, Europe, China, Japan and Korea have more stringent fuel economy standards than the United States, and they are moving to aggressively increase them," said Alliance to Save Energy Vice President Ben Evans. "The standards announced in 2011 were set to turn the United States from a laggard to a leader, and they supported our global competitiveness."